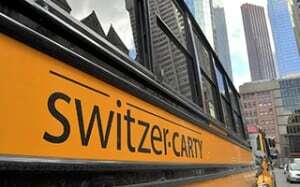 Wednesday, March 23 at 9:30 a.m.
Switzer-CARTY welcomes all professional school bus drivers, mechanics and office staff to attend our Open House to inform you of the great opportunities available in joining the school bus industry’s most progressive, people-oriented company and what you can expect as a valued professional team member at Switzer-CARTY for school start-up in September of 2016. We look forward to seeing you there. We encourage you to apply online. If you have a current route number then we encourage you to include that in your application.